The coastline where I filmed my first uwol-challenge http://www.dvinfo.net/conf/uwol-chal...per-johan.html, Mølen is spilled with oil, affecting a large number of birds from a nearby sanctuar. I believe Finn Erik Faale, who lives near by this aera, will chime in and tell more about this disaster! 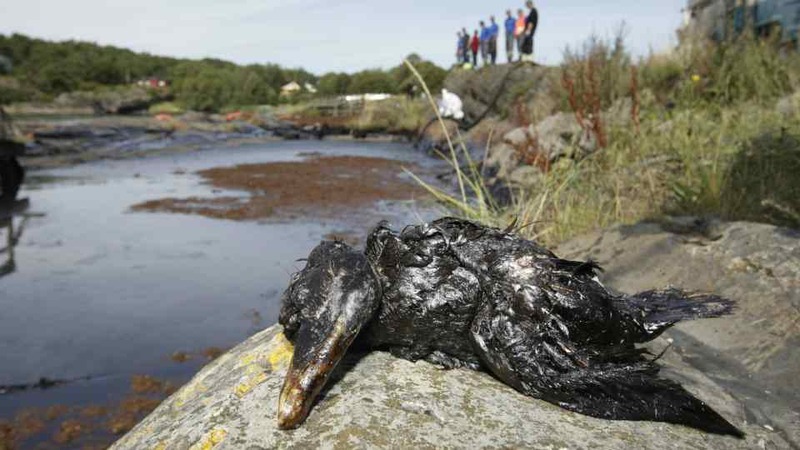 Pictures from Norwegian newspaper showing affected seabirds. Really sad to see somthing like this happen. So much in the ecosystem is affected by a spill like this, & it will take a very long time to recover. The sooner we can get away from our dependance on oil the better! Maybe Finn Erik could use this in his long form project to show how such a beautiful area can be ruined by such an incident? Hopefully the people working on the clean up will do the job well & the impact to the environment will be kept to a minimum. The disaster has reached my sailing area. Stråholmen, the island in my long form video, is located few nautical miles south east of the leaking ship. The oil reached the coastline and recreation area at Langesund after short time. Possible about 200 tons heavy oil is drifting with the wind and the southwest going stream along the coast and turns into shore on its way. Many seabirds and eider ducks have been shot; other will hopefully survive after a washing procedure. I was in the area with my video camera in the weekend. Hopefully I can use some of the stuff for the long form video. I am not quite sure how this will affect my original intention of the story. Sorry for the late response, I'm just tuning in. Is there anything we can do? When disaster struck in Iowa (flooding) we were able to donate and help some. I donated to help the animal shelters housing stranded pets. When horrible things happen, the world can become a neighborhood and community for relief! Let us know! I am so sorry. I remember very well your first uwol film entry and how pristine the coastline was in your film! With proper action there is hope that it will return to that state again. Keep us posted. thanks so much for your thought about this disaster! There seem to be less damage than first known in the area. But anyway, 1300 seabirds are reported dead (this is only a number of reported birds found) the total number can/will be higher, I think! 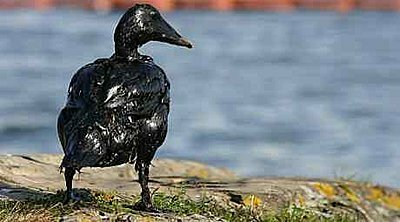 And of course the coastline affected by oil spill will kill other species as well. And the area is also a recreation area for people living in this region. This ship was not loaded with oil as first thought, but the oil leak was caused by fuel oil leaking from the ship, approx. 1120 ton of fuel oil. But it will take many years for nature to recover from the spill, some experts says 8-10 years! WWF and Norsk Ornitologisk Forening (a brand of the International Birdlife Organization) is working in the area trying to help damaged birds, so I believe by supporting them, you are helping when disasters like this occur. Thanks for your thoughts Cat!